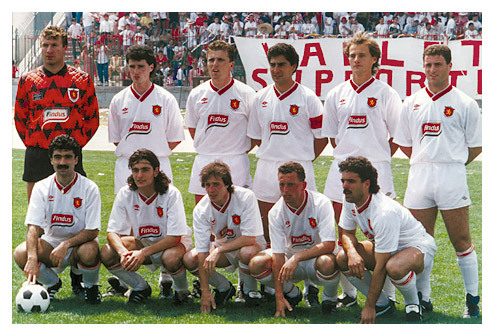 The 90s were glorious years for Valletta FC. Making history along the way by winning all honours the local football had to offer. During this season, Valletta FC won the Euro Cup and the championship. 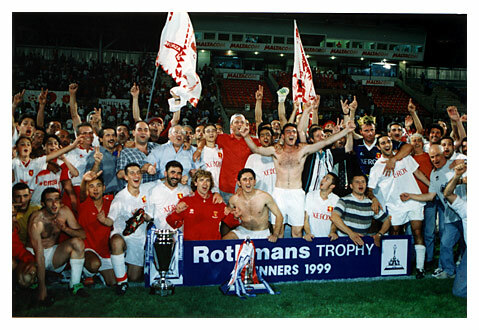 Valletta FC dominated the Premier League from the start till the end. Valletta FC played brilliant football proving that they were a hard nut to crack. From the beginning of the second phase they acquired a double on champions Sliema Wanderers and from that moment onwards they never looked back. During this season Valletta FC were under the guidance of coach George Busuttil. Valletta FC ended the season as runners up with only three points behind Hamrun Spartans. Valletta FC made a great effort during the FA Trophy. It was time for the club to win this competition since their last win in 1977-78 season. In the final Valletta FC met Sliema Wanderers. The final produced a balanced match with interesting moments, but unfortunately the match ended goalless. During the extra time Sliema Wanderers had to play for the last 20 minutes with ten men, the match was heading for a replay, three minutes from the end a direct free-kick by Kristain Laferla gave Valletta FC the FA Trophy for the sixth time in their history. 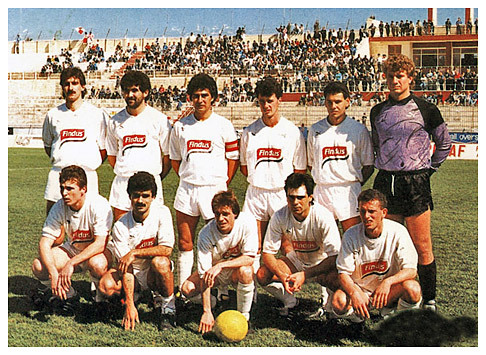 Valletta FC without any doubts dominated the 1991-92 season. The squad was technically and tactically prepared by coach Euchar Grech. The Committee was led by the hard working president Mr. Joe Caruana Curran. The Valletta FC won over all the challenges given by other teams. Valletta FC were invincible to other teams and only lost three points during the season. Although they had individual players, the secret to their success was their collective play. During the season Valletta FC also won the Super Five Tournament. This was a quiet period for Valletta FC. During these four seasons they won six major honors, namely, the FA Trophy twice, the Super Cup and the Lowenbrau three times. This period was a prelude to the great success that was to come in the future. Winning five Cups in only one season was something that no other club had ever managed to win in the history of Maltese football. 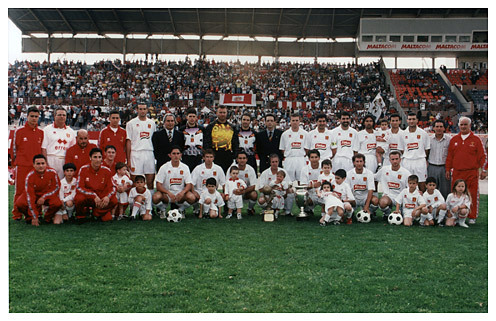 1996-97 season will always be remembered in the history of Maltese football whereby Valletta FC dominated the local football scene. Valletta FC started the season by winning the Lowenbrau Cup and the Super Five Tournament. They won the championship again after an absence of four seasons. In the FA Trophy final they met Hibernians. Even though Valletta FC were given a hard time by Hibernians during the final, Valletta FC were declared favorites to win this honour for the third time and they succeeded. Valletta FC scored twice during the first half, but during the second half Brian Crawley reduced the gap for the Paolaities and it seemed that Hibernians was making a comeback. A few minutes later Crawley received marching orders by the referee and Valletta FC managed to control their opponents and won the FA Trophy for the third consecutive season. During the Super Cup final Valletta FC met Birkirkara (runners up of the season). Valletta FC showed excellent performance, winning 5-2. In addition to this honour, Valletta FC had already won other four that season, thus making history. Back Row ( L to R ): J. Camilleri, J. Chetcuti, D. Debono, S. Sullivan, R. Cini, S. Mifsud, A. Bonnici, S. Giglio, A. Farrugia Middle row ( L to R ): A. Coleiro (Masseur), D. Colombo, D. Braaunovic, D. Doncic, G. Agius, J. Agius, I. Woods, A. Caruana ( Kit Manager ). Front ( L to R ): V. Fiteni & L. Galea. 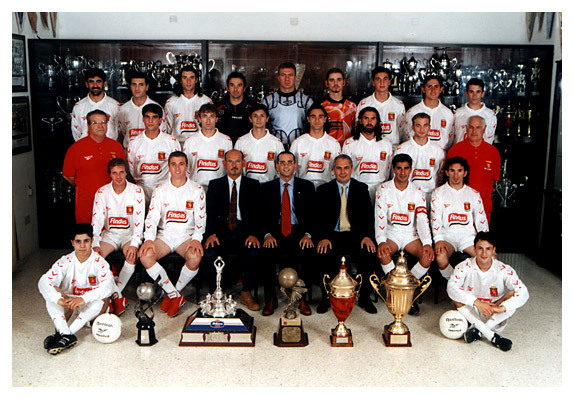 After a season full of successes, it was hard for Valletta FC to keep winning honours, but in season 1997-98 Valletta FC continued on the same track. They won the championship for the second consecutive season and also added the Lowenbrau Cup and the Super Cup with their honours list. The only disappointment they had during that season was when they lost the FA Trophy against Hibernians. 1998-99 season was another one filled with honours. 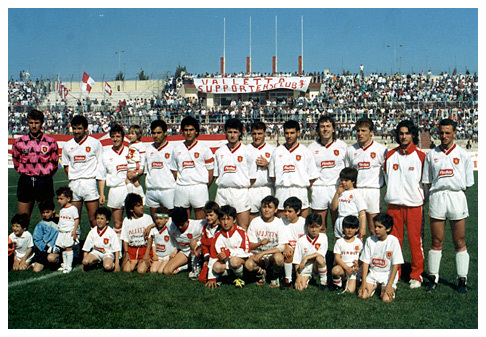 Valletta FC won the three major honours that Maltese local football has to offer. They started by winning the championship, where Valletta FC overcome the great challenge posed by Birkirkara and continued by winning the FA Trophy and the Super Cup. During this season Valletta FC lost the championship and the FA Trophy but won the Super Five Tournament.